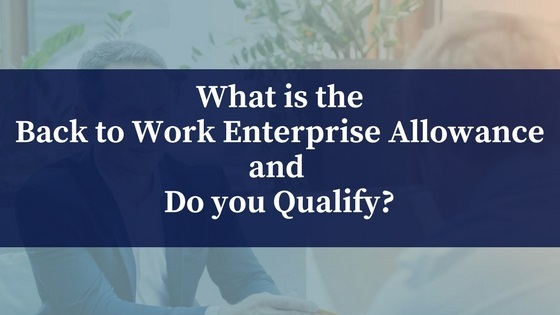 Back to Work Enterprise Allowance – Do You Qualify? What Is the Back to Work Enterprise Allowance? The Back to Work Enterprise Allowance (BTWEA) scheme encourages people getting certain social welfare payments to start their own businesses and become self-employed. A major benefit to those who qualify for the scheme is their ability to keep a percentage of their social welfare payment for up to two years, whilst getting their new business off the ground. The allowance is payable to qualifying individuals aged under 66. *Having an underlying entitlement to JA means that you would pass the means test and other criteria. Signing on for unemployment credits following your Jobseeker’s Benefit does not count towards the qualifying period. Periods of time spent on full-time FET, Fáilte Ireland and Teagasc training courses, Community Employment, Social Economy Programme, Rural Social Scheme, FIT, Job Initiative, JobBridge, Work Placement Programme, Tús, BTEA and VTOS schemes are accepted as qualifying periods provided you were entitled to a qualifying payment before starting on the study or training. The DSP also counts time spent on the Community Services Programme provided you were getting a qualifying social welfare payment for at least half of the qualifying period. Time spent on Supplementary Welfare Allowance or in direct provision can count towards the qualifying period for BTWEA as long as you establish an entitlement to a relevant payment before starting the BTWEA. And, if you have previously participated in the BTWEA scheme and used up your entitlement, you can participate a second time after at least 5 years. What Rates of Social Welfare are Paid? You can keep your extra (or secondary) benefits for as long as you are getting BTWEA. However you must be deemed eligible for the Rental Accommodation Scheme to keep your Rent Supplement. Rent Supplement may be affected if your earnings go up while you are on the scheme. You should check with the DSPs representative in your local health centre to see how your Rent Supplement may be affected by your participation in the BTWEA. In addition to income support, you can also get financial support with the costs of setting up your business under the Enterprise Support Grant (ESG) scheme. You can only get the ESG if you have been approved for BTWEA. The business plan you submit as part of your application for the scheme must set out the rationale and requirement for financial support. The ESG can pay a total of €2,500 in any 24-month period for business related expenses, including accounting, legal, training and other business expenses. You must be able to make a matching contribution of at least 20% to access grant support. If you would like more information on the Back to Work Enterprise Allowance -If you live in an area covered by a Local Development Company (LDC) you should apply to the Enterprise Officer in your local ILDC. If you do not live in a LDC area, you should apply to the Case Officer in your Intreo Centre or Social Welfare Branch Office. If you are thinking of starting your own business and would like trusted, expert advice, contact MLMG here today or call 07493 21420.